So I wanted to share one of my favorite skincare products. 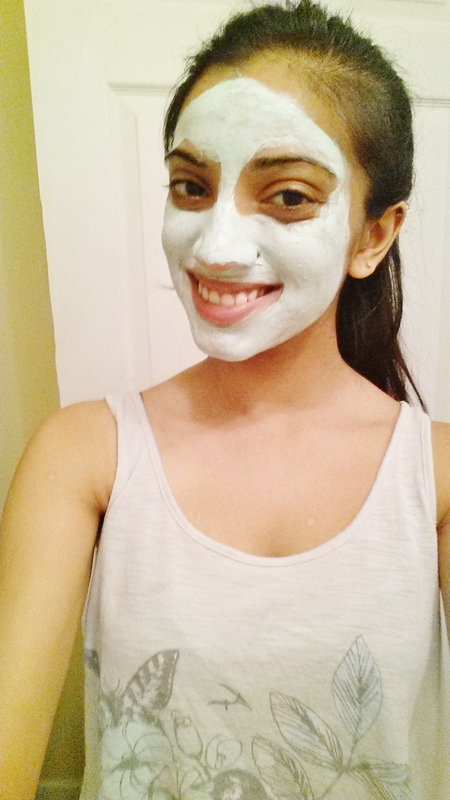 It’s the Facial Clay Mask in Avocado and Oatmeal by the Freeman Feeling Beautiful company. I love this stuff! It’s super simple to put on and equally as easy to take off. It can come in a huge tube, which has 6 fl. oz, or a small trial sized packed which has .5 fl. oz. Both women and men can definetly get good use out of this! I like to use this whenever my skin is feeling greasy/oily, or when I have a couple pimples, (gross I know, would you prefer zits? ), randomly. This always helps my skin. It makes it soft and I’ve noticed that the bumps go down a little, which I absolutely love. It comes out as this light blue/green color and feels like a slightly thick lotion. Don’t worry, it’s not one of those types of masks that just keeps dripping when you put it on. The texture is amazing and it sticks to your face perfectly. You can easily tell when it’s time to take it off because, like all masks, it gets super hard. I usually leave it on for about 20 minutes of more, mostly because I kind of forget to take it off…hehe. Well, that’s all on that! If you tried it, let me know! Also, I did a tutorial/quick review video on it, so if you want to see what it looks like, take a look below! Thanks a lot for reading! Bye!